Why Should You Volunteer at a Senior Living Community? Did you know that volunteering is a great way for older adults to feel confident, valuable, and happy? For those reading this who wake up every morning and head into their place of business, retirement may sound like a dream come true. However, not having a place where people are counting on them, or where they are making a difference in the lives of others, can make a senior feel unimportant. Volunteering can provide an older adult with a feeling of accomplishment and community. Why Volunteer at a Senior Living Community? 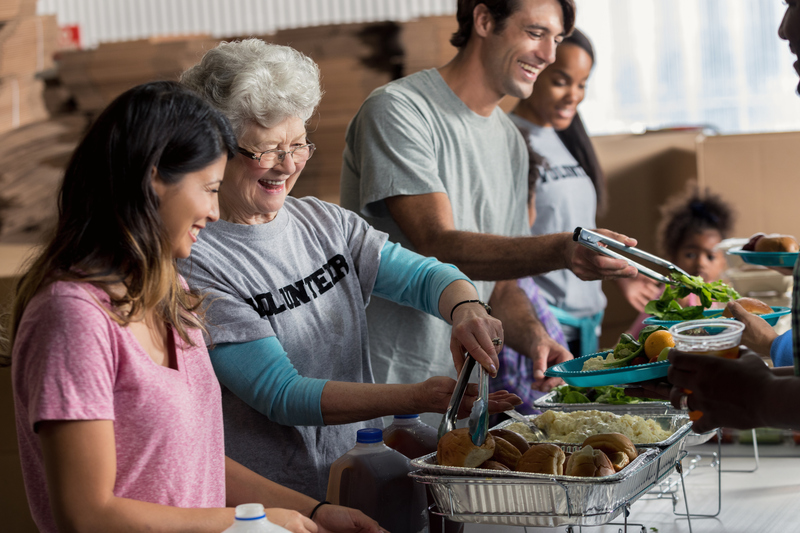 Volunteering is beneficial for everyone – from children to seniors. At a senior living community, like the Bethesda’s communities throughout the Saint Louis area, volunteers are always needed and welcome. There is no shortage of need for volunteers at a senior living community, according to Leslie Simon, Volunteer Coordinator at Bethesda Meadow, a skilled nursing home community located in Ellisville, Mo. During holidays and special events at skilled nursing home communities, extra hands are in high demand. Leslie suggests that people who think they might be interested in donating their time consider coming in during one of those occasions to see if they like it. With Grandparent’s Day and the Bethesda Meadow Fall Festival coming up, now is a great time to become a volunteer at a senior living community. However, volunteers are needed on an everyday basis too! If you like to play games, you can call the numbers in a bingo game or organize a Wii bowling or tennis league. If you’re good with numbers, you can help out in the office. If you’ve got a sense of fashion, you could volunteer to do resident’s hair or give manicures. Other opportunities include transporting residents from their room to the dining area. There is always something for a volunteer to do at a senior living community. Hospice Care volunteers play a special part in the lives of seniors and their families. These volunteers make patients more comfortable by doing things like reading to them, helping them to write letters, or simply keeping them company and providing support during this difficult time. Hospice care volunteers help the family of hospice patients by taking care of routine tasks for family members. This may include feeding and walking family pets or house sitting while the family member tends to their loved one in Hospice Care. Volunteers can also assist with Hospice Care by fundraising, assisting in with clerical work, or by donating their time to bereavement services. If you’re interested in making a difference in the life of a senior, there are plenty of opportunities available to volunteer at each Bethesda skilled nursing or assisted living communities, or at Bethesda Hospice Care. Ready to make a differnece? Become a Bethesda Volunteer today.